1. 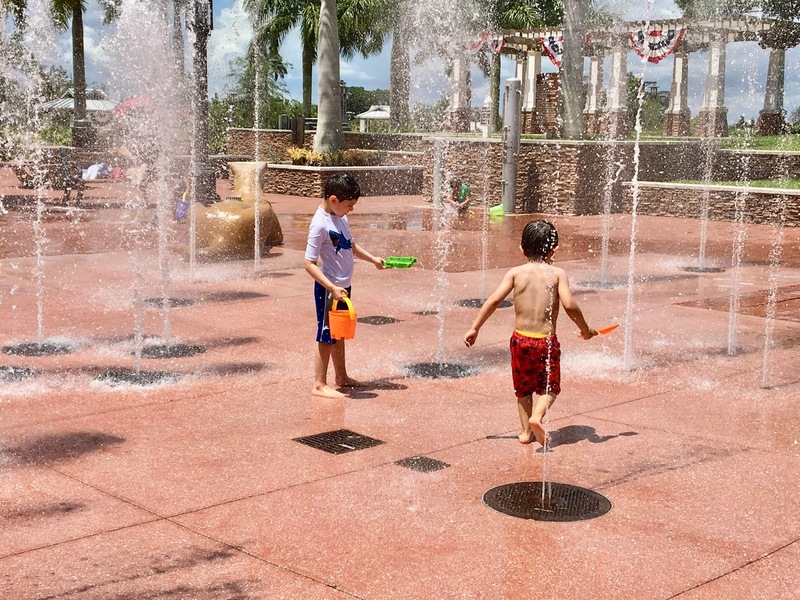 Spray Parks: They kids have an amazing time running through the water. I feel like they enjoy it better than a regular trip to the playground. Spray parks are usually free and can be found in parks or near beaches depending on where you live. It's good to take them some snacks and plenty of water. 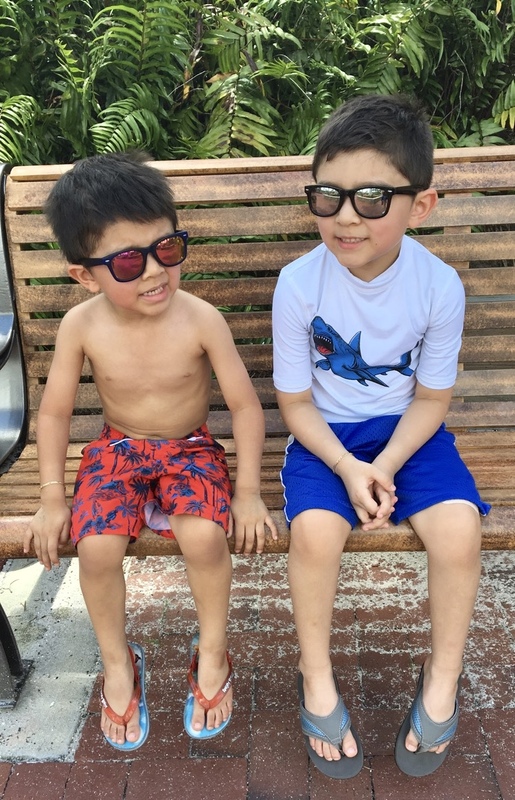 My kids usually get hungry right after they have been playing in the water so you could also pack them a healthy lunch or some refreshing fruits. 2. 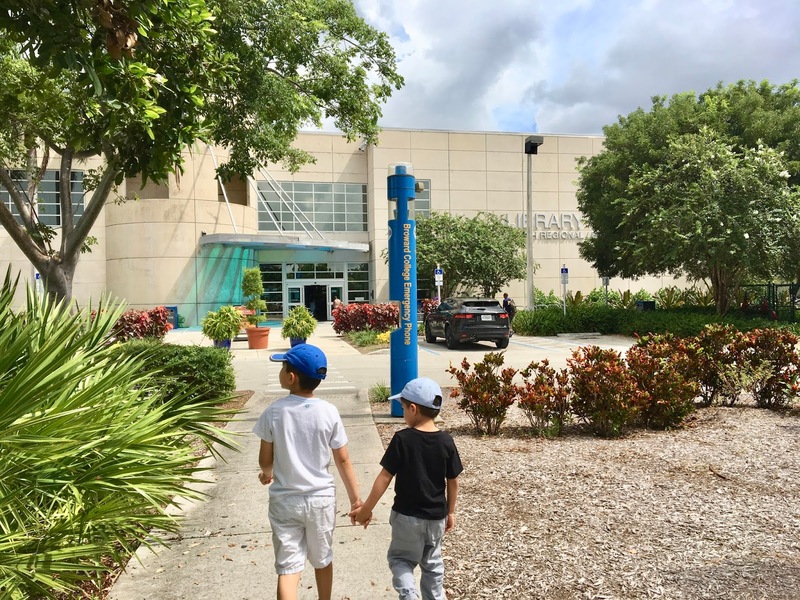 The Library: I recently started taking my kids to the library this past summer because my six year old had a book report to turn in on his first day of 1st grade. I know, I know can you believe Gio is already in first grade. So the first day they picked about 10 books and literally in 2 days Gio had already read them to us. So I decided to continue to take them. Gio loves the idea that he gets to exchange a book for another after he's done. My little one though gets sad when we have to return the FlyGuy books back. He is obsessed with FlyGuy! I also love that borrowing the books is teaching responsibility. They know the books are not theirs and they have to be returned in the same condition they checked them out. The library has become our weekly activity and both the kids and I enjoy it. 3. 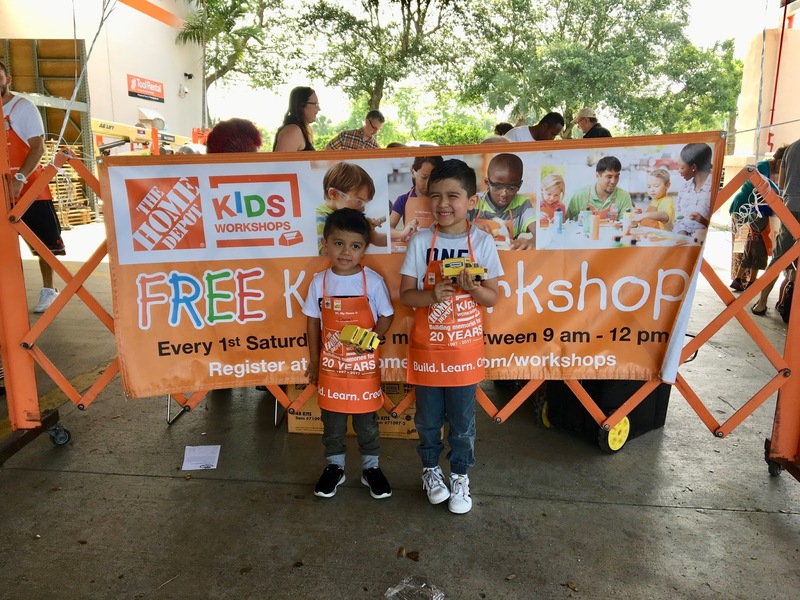 Home Depot Kids Workshops: This one is definitely one of my favorites. 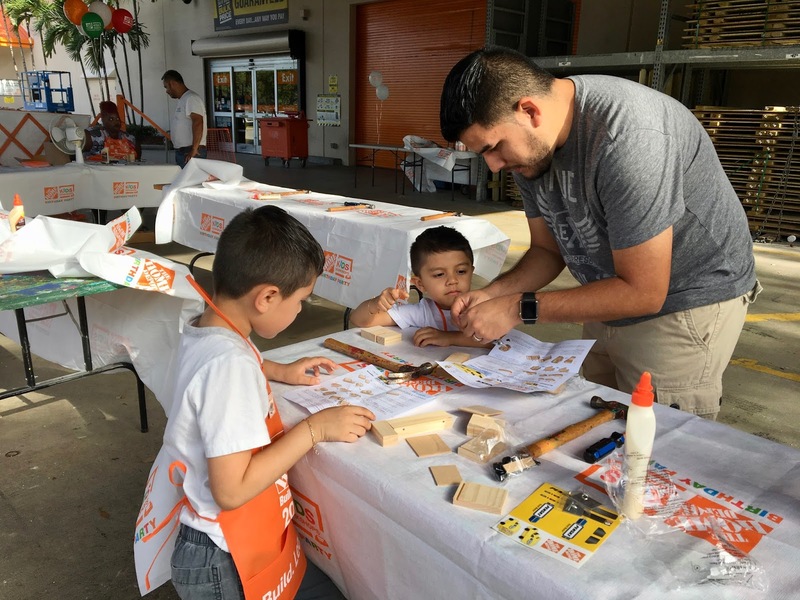 Home Depot normally has kids workshops once a month. You can always check on their website for the day of the workshop but it is usually on a Saturday from 9am-12pm also the project is different every month. 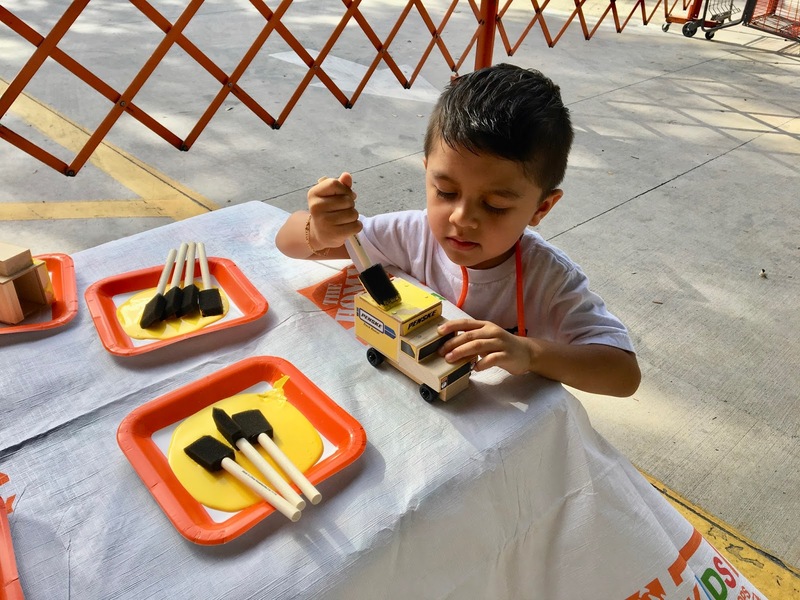 I recommend you get their early because they usually give the kids a pin after they complete their project to put on their adorable aprons and those are usually while supplies last. If it will be your first time attending make sure you ask them for the apron. 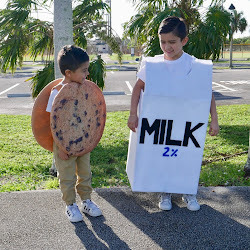 We love to do this as a family because lets face it my husband is the one that at the end has to help us with the projects. I really do enjoy this and think you and your family will too.